The south west corner of Scotland has a beautiful coastline and many picturesque seaside villages on the Solway Firth. There are plenty of opportunities for walking, cycling, mountain biking, horse riding, watersports and golf, not to mention numerous gardens to visit thanks to the relatively mild climate. Galloway has Britain's largest forest park which includes woodlands, moorland, mountains and lochs. The area has lots of historic places of interest including picturesque Threave Castle, Caerlaverock Castle and Sweetheart Abbey. Principal towns include: Dumfries (home to Robert Burns at one time), Kirkcudbright (the Artists' Town), Castle Douglas (the Food Town) and Wigtown (the Book Town). 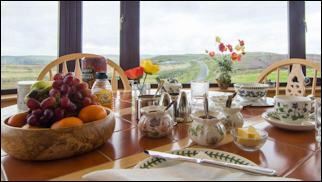 Wide choice of self catering properties ranging from 1 to 6 bedrooms. Members include B&Bs in Lockerbie, Dumfries and Kirkcudbright.